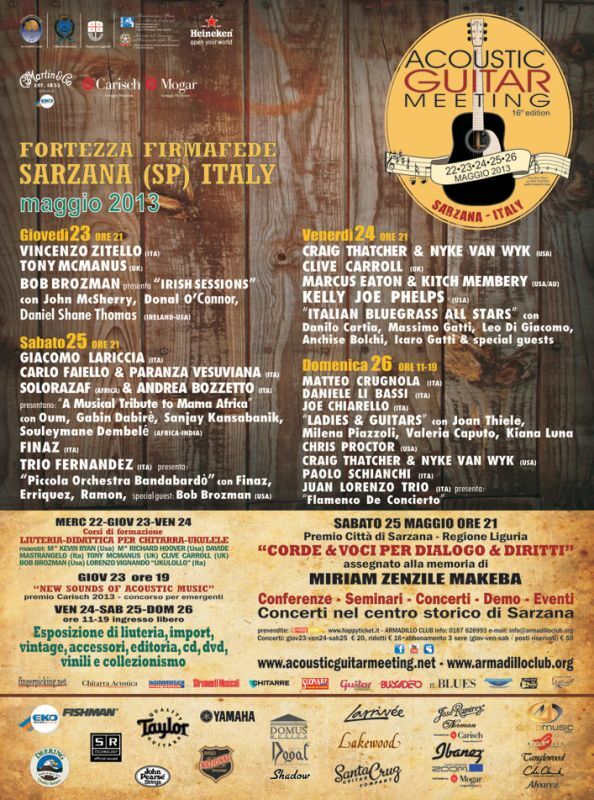 In addition to the information sent yesterday about the Bluegrass Meeting at Sarzana, Italy, on Friday 24 May 2013, Danilo Cartia sends this poster image with the programme details of the 16th Acoustic Guitar Meeting at Sarzana (22-6 May), of which the Bluegrass Meeting will form a part. 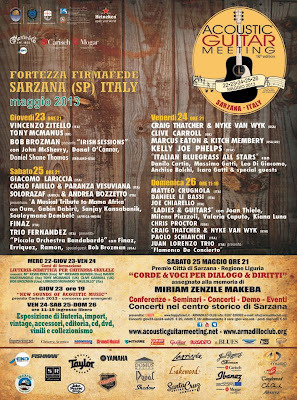 Danilo and the Italian Bluegrass All Stars will perform in the Friday evening concert. Click on the image for an enlarged view.